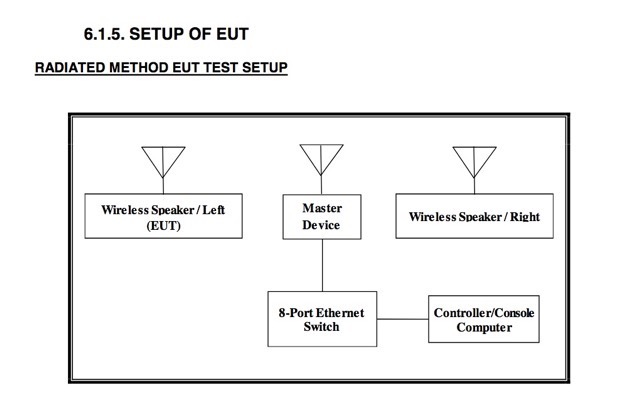 As discovered by Variety, a new FCC filing published today seems to indicate that Sonos may soon release a new satellite speaker with true surround sound. Codenamed ‘S18’, the purported speaker features both Wifi and Bluetooth connectivity, although no pictures or mockups have been shared in the filing. The FCC filing, which has been heavily redacted, also shows a list of the equipment used in testing the new device (see above). It mentions the company’s current Playbar soundbar as a “master device” and describes the ‘S18′ as a “wireless smart speaker”. “The speaker also seems to have touch controls similar to the ones first introduced with the Sonos One (hat tip to Dave Zatz), which indicate the presence of a built-in microphone for far-field voice control. As pointed out by Variety, the new device being tested in conjunction with the Playbar strongly hints at a satellite speaker in a home theatre setup, which can be further confirmed with the following illustration. A recent statistic showed that over 38% of Sonos buyers around the world in 2017 were those who already owned a Sonos product.